If, as they say, all politics is local, than perhaps we should consider how our schools might fare under the three major candidates for governor: Paul LePage, Eliot Cutler, and Libby Mitchell. We are experienced members of your school boards. We write not as representatives of these boards, but are informed by the work we do for our schools. For too long Maine schools have been used as punching bags for political advantage. They have been described by politicians in stark, despairing terms that are not justified by the data. They are subjected to endless ill-considered mandates and shifting expectations that are, in the aggregate, corrosive to our faculty’s and students’ ability to teach and learn. While no one argues our schools are perfect and not in need of constant improvement, Paul LePage and Eliot Cutler are pushing this dire narrative to the extreme. In August, Mr. Cutler kindly gave a small group of us, including teachers, an education professor, board members and one of our administrators a couple hours of his time to discuss educational policy. While it was an engaging conversation, we came away troubled. His characterization of the State of Maine educational opportunities and attainment does not jibe with either our reading of statewide data or our experience on MDI. However, all attempts to question any of his assertions was countered with a reply that MDI is "special". First, MDI is not "special". But, for the sake of argument, given our specialness, it was a red flag to us that Mr. Cutler always used that as a reason to dismiss our observations, but never as a reason to consider anything we "special" people had to offer. Mr. Cutler provides a stridently hostile narrative about the Maine Educational Association (MEA), the statewide organization to which many teachers, including many of ours, belong. None of us wish to carry any water for the state leaders of the MEA. We too are, at times, critical of their actions. But, he is overstating his case by a mile in order to make a sinister sounding claim that Libby Mitchell is beholden to the MEA. He has decried the "tea party on the right and the teachers’ union on the left" as if there is a rational equivalency between the two. He told us he advocates for charter schools because they could get around the existence of teachers unions in public schools, which he argues is a necessary prerequisite to improvement. As Mr. Cutler critically points out, the MEA has endorsed Libby Mitchell. Given Mr. Cutler’s campaign calculus to turn them into poster children for all that ails our schools, it’s not hard to figure out how or why she might have picked up that endorsement. Here are MDI’s facts that are not "special". By law these facts are the same everywhere. Our school boards negotiate with teachers about wages, hours and working conditions. We do NOT negotiate about educational policy. On MDI we have a collaborative working relationship with our teachers, both on collective bargaining issues and educational policy matters, but we control the latter. We have performance evaluation policies and practices that are not negotiated but are created and administered by the administrators we employ. If they do not use them effectively, it is our fault, not the teachers’ or the MEA’s. 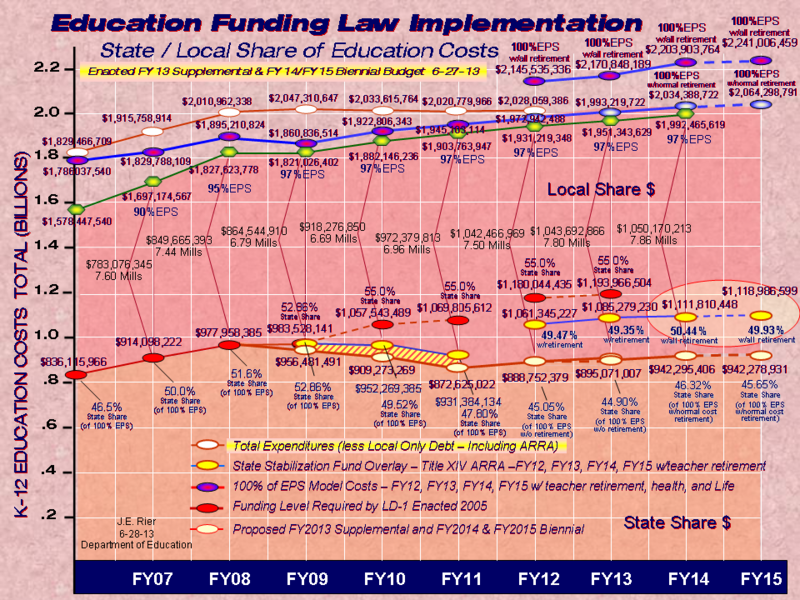 One "solution" from both Mr. Cutler and Mr. LePage is charter schools. What is a charter school? It’s a privately run, publicly funded school. We guess the thinking is that it would be better for the taxpayers and children in our predominately rural state to allow parallel school systems that siphon off money and other resources to "compete" with public school systems. Never do any of the proponents of charter schools explain how they could work, either practically or financially. Where do all the extra teachers and infrastructure come from for these parallel charter schools? How is it better oversight and control of taxpayer dollars to authorize private entities, often out-of-state companies, to take your town’s per-pupil dollars and do with it what they will? 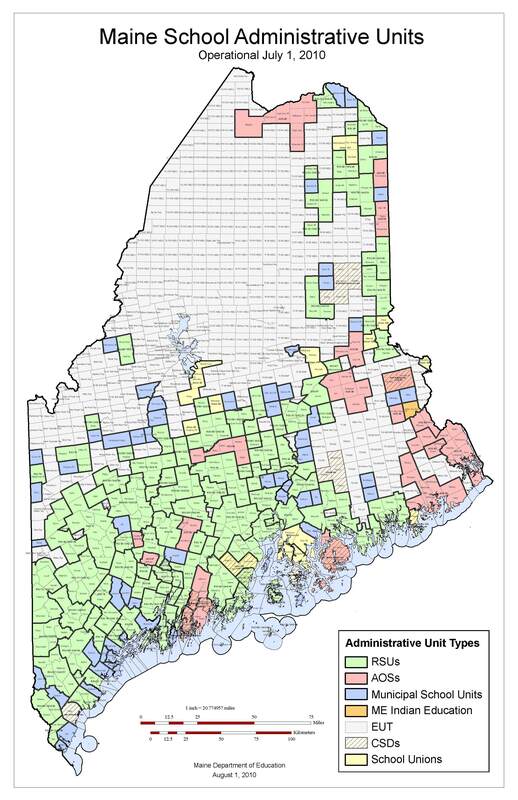 Many charter school facilities in urban areas are underwritten by hundreds of millions of dollars of private or corporate wealth, making their actual costs and their viability in Maine highly questionable. Further, in some cases investors in charter school facilities take 39% federal "New Market" tax credits which, along with interest payments on the loans they arrange or make to the schools, allow some to double or triple their money in six or seven years. But, as a result, some charter schools are then saddled with unsustainably ballooning payments. In other words, there’s quick money to be made in the charter school business in a manner that often does not comport with the best interests of students. worse than in public schools. Tell us again why we are having this debate? Aren’t these same people telling us we still have too many schools or administrators? Paul LePage has said that we need only 16 superintendents in the state. Where have we heard that before? How did you like the school consolidation fight? Did you think it was good for our towns and our schools? Then vote for Mr. LePage so we can do it again. Mr. LePage goes one step further and pushes hard for "vouchers." Vouchers allow individual parents to take taxpayer dollars to a different school. We provide a school system. We all pay for it whether or not we personally have children in the system. It works best if everyone in the community has a stake in seeing it is the best it is. By allowing parents to take the money and run we undercut this important key to our success for the community as a whole. Mr. LePage advocates letting taxpayer money also go to private, including religious facilities. Mr. LePage is the candidate who supports the teaching of "creationism", a faith-based doctrine that proponents argue should supplant or stand beside empirical data about the origin and ongoing development of life on earth. This has every day implications for all of biology, including what transpires at Jackson Laboratory and MDIBL. Fanning the flames of that controversy has brought too many other towns and schools in other states to great grief (and often great legal expense), and is of significant concern to us. How his position comports with a commonly held desire to prepare students to "compete" in the twenty-first century is not clear to us. Mr. LePage frequently makes incendiary statements, including the assertion he would reject federal funding for education, which currently amounts to about $180 million dollars for the State. Like many of his extreme comments, he modified the threat when pressed by waving a copy of the Constitution, and saying that he wanted to "look at the fine print and make sure they don’t buy us off", whatever that means. He still said there would be some money he wouldn’t take. Regarding the provision of special education services, Mr. LePage states that there should be one statewide standard for special education services. Our schools offer one of the better special educational programs in the state. Are you willing to see that degraded by a forced race to the middle? Mr. Cutler has suggested he would like to see someone like David Flanagan, the former head of Central Maine Power, be the head the Department of Education. In so doing, he jumps on another popular bandwagon that’s headed in the wrong direction: installing at the top a corporate executive who has no significant prior educational policy experience. It would be like hiring as our superintendent someone who previously ran a local supermarket. Nice guy. Knows how to meet a payroll. But, does he know what it really takes to improve students’ math literacy? Providing education to our children is not like delivering electricity to your toaster. So, we find many of both Mr. LePage’s and Mr. Cutler’s prescriptions for education to be counter to the best interests of our schools and our taxpayers’ ability to control and account for the dollars we spend trying to educate all of our children. Where do we find Libby Mitchell positioned on educational issues? We had the opportunity during the consolidation dispute for sustained observation of Senator Mitchell’s work, both as a Senate leader and as a member of the Education Committee. was she and Hannah Pingree, one of MDI’s representatives and the then House Majority Leader, who brokered one-on-one with Governor Baldacci. It was in both of their offices that we met with the Commissioner of Education and others, and came to a relatively successful resolution for MDI. We could not have done it without her. Further, our observation of Senator Mitchell’s participation on the Education Committee convinced us that she is fully and deeply versed in both the policies and practices of the Department of Education. We watched on numerous occasions as she deftly maneuvered between the Commissioner and the Education Committee to allow for more sensible courses of action. We also take positive note of the fact that Senator Mitchell is a former teacher. value of the very existence of a public educational system. and get marketable skills, such as the Jobs for Maine Graduates program, 4) reduction of the mind-numbing levels of paper work from DOE that not only distracts classroom teachers from teaching, but also does a great deal to drive up the administrative costs everyone complains about, and 5) focusing on broad benchmarks that will help assure that every student can continue to advance successfully, but will leave important details where they belong: with our teachers and administrators. Libby Mitchell is the only candidate who speaks to the challenges of our schools without over-dramatization. She is the only one who does not propose "solutions" that would, in fact, threaten local, public control of our schools. She is the only one who holds out any promise of providing a Department of Education that might work with us, not on us. We ask you to join us in voting for Libby Mitchell for Governor. I apologize for this bulk email. But having already published a public endorsement for Governor two weeks ago in the Mount Desert Islander, I feel obligated to follow that up broadly with a reconsideration. In that endorsement, I joined in supporting Libby Mitchell for Governor because her views on public education policy match my own more closely than those of the other candidates. I still believe that and I remain grateful to her for her principles on these policies. At the time of that endorsement, I also believed that Libby Mitchell was the only candidate in the field in a position to garner more votes than Paul LePage whose policies I believe would be largely destructive to public education and many other endeavors that I think vitally important to the State of Maine. As of Friday's polls, I now believe that Mitchell is no longer best positioned to defeat Mayor LePage. I believe Maine's best future depends on a realistic compromise represented by the candidacy of Eliot Cutler. I have some disagreements of educational policy with Eliot Cutler. However, I have also had several in depth conversations with him about these and I respect both his knowledge and willingness to consider differing opinions. Most importantly, Cutler's vision for Maine's future is incomparably brighter than that offered by Mayor LePage. Therefore, on Tuesday I will be voting for Eliot Cutler for Governor as - in my opinion - the alternative is simply untenable. I don't presume to tell you how to vote on Tuesday. I'm just writing this to be open with you about my own change of mind and heart. I'm sure you each will vote in good faith with your own. By now some of you may have received a recent e-mail from our mutual friend and colleague, Brian Hubbell about the governor's race. Others may have read the op-ed in the Islander in which three of us considered the there major gubernatorial candidates' educational views and concluded with a strongly voiced endorsement of Libby Mitchell. http://forum.mdischools.net/Mitchell-endorsement Like Brian, her views and approaches best match my perspectives about educational policy as well as other issues. However, when a few of us met for several hours this summer to talk with Eliot Cutler about education, the last thing I said to him was that I wouldn't want to be remembered for helping Paul LePage become our governor, because, to use Brian's term, that outcome is "simply untenable" to me too. I was challenging Mr. Cutler with that statement of course, but I don't want to find myself in that position either. Absent circumstances in which I would have to violate some of my core principles to do so, I believe in strategic voting for that person among the viable alternatives who most closely resembles my perspectives rather than "voting my heart" for a candidate with a very slim chance of prevailing. After my own weekend of close reading of the polls, the news, and after much conversation with many, including Brian, I too feel it best to modify my previously stated voting intentions. I will be voting for Eliot Cutler on Tuesday. This is a tough call for many. I don't presume you agreed with our original editorial. I don't presume you will agree with this decision either. How you vote is for you to decide. I just want to clarify for you that my position, so publicly stated, has also changed with the circumstances. Whomever your candidate, I do hope you get a chance to vote.